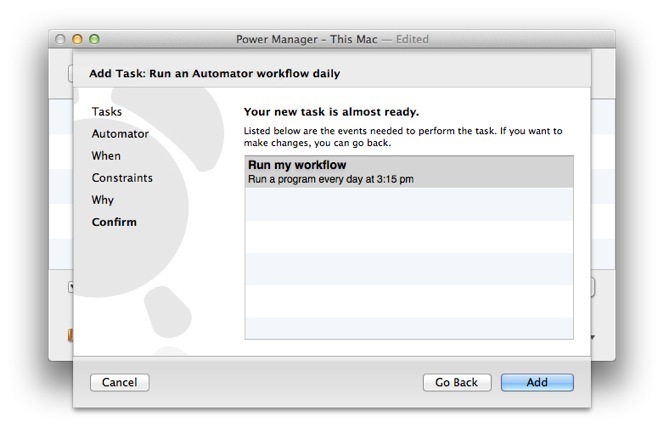 This recipe shows how to run an Automator workflow automatically and to a schedule. A fun, if opaque, sub-title might be How to Automate Automator. 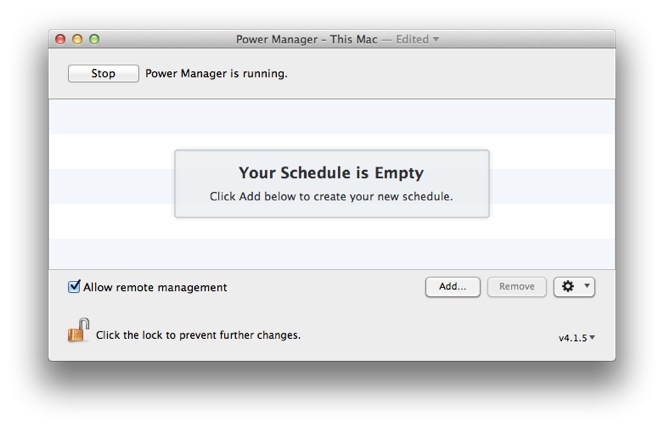 This recipe makes use of a new Schedule Assistant task recently added to Power Manager. Automator is a great visual automation tool included with Mac OS X. 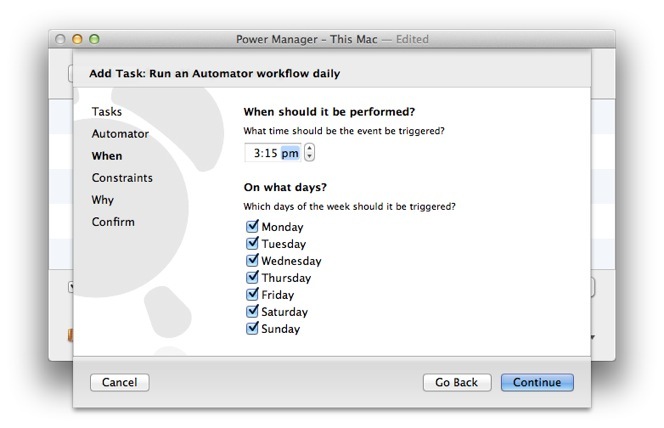 With Automator you can create workflows that perform long sequences of complex tasks; ideal for marrying up with Power Manager's scheduling capabilities. 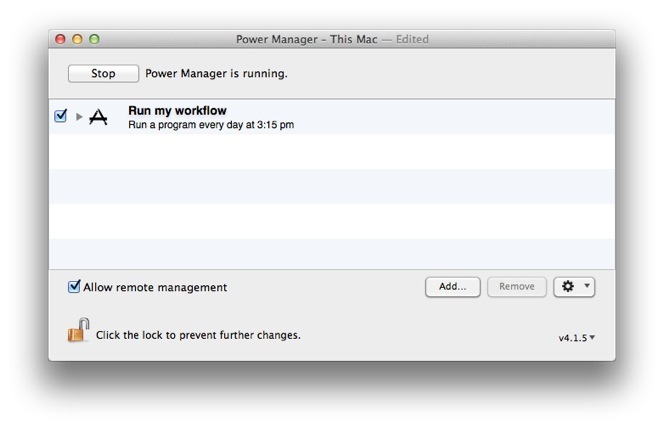 We have previously looked at scheduling Automator workflows with Power Manager. In our previous recipe we used the command line tool automator to assist us. This works but involves writing a shell script to connect Power Manager and Automator. 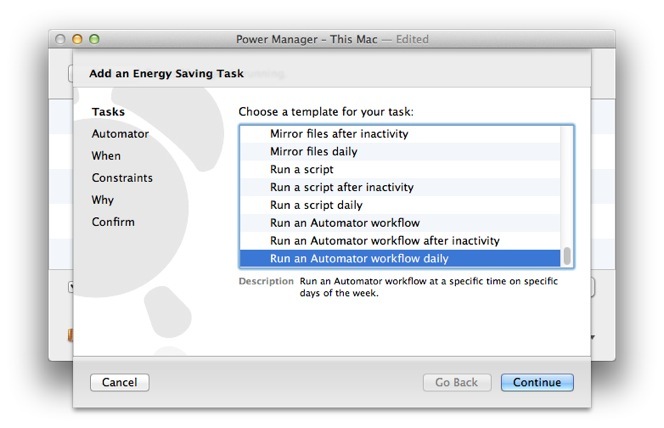 In this recipe, we are going to use Power Manager's new Run an Automator workflow daily task. 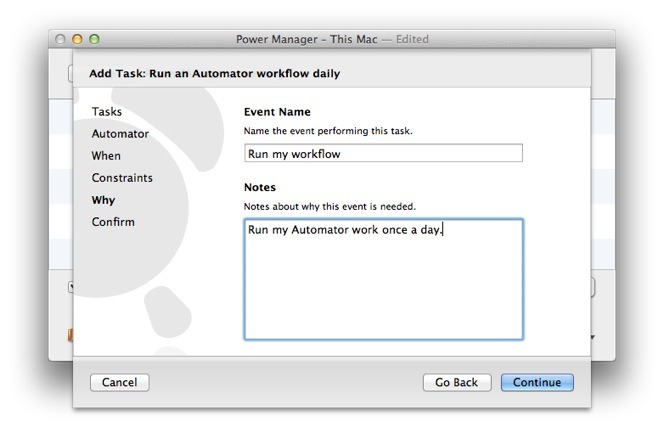 Let's create an event to run an Automator workflow once a day at 3:15pm. 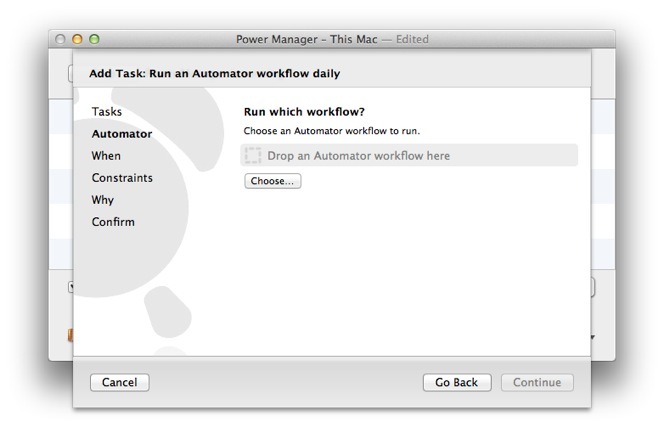 Your Automator workflow will run using the command line tool automator and be performed as the active user. Automator is a visual tool and needs a user to be logged in to work. The event above can be combined into a larger schedule and using Power Manager together with Automator, complex workflows can be expanded far beyond either application's individual capabilities. Going further, if you need to pass in variables or files to your workflow, you can do this with our original recipe. Do this by extending the shell script following the automator manual page. 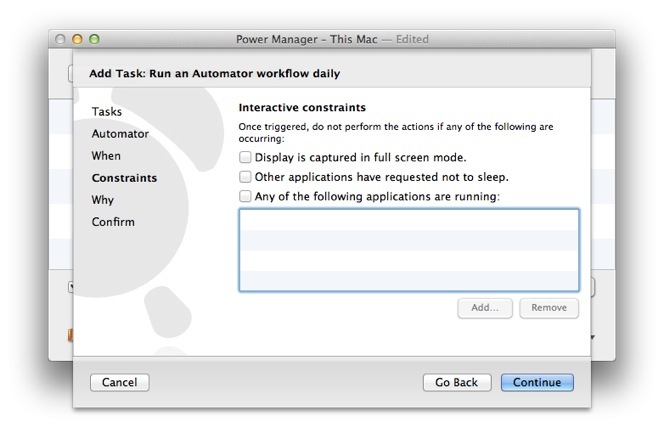 This article was posted in PM4, Power Manager, and Recipe and tagged Automator, and workflow.